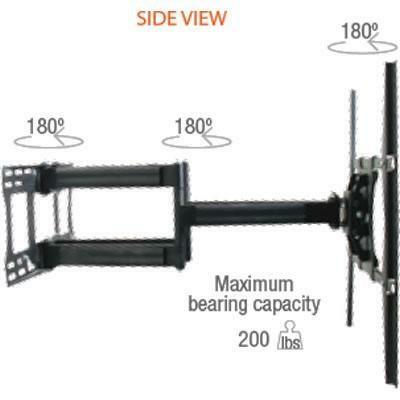 The Sonora SOB86 is a solid, heavy-duty accordion style bracket that extends straight out from the wall to a distance of up to 30 inches. 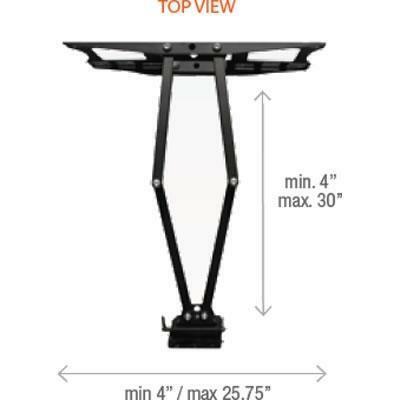 Capable of holding Plasma and LCD TVs weighing up to 200 lbs, it can be tilted up or down and rotated left or right for multi-position viewing. A convenient wire management system is provided to protect and organize your wires, while a locking system ensures a secure and professional installation. 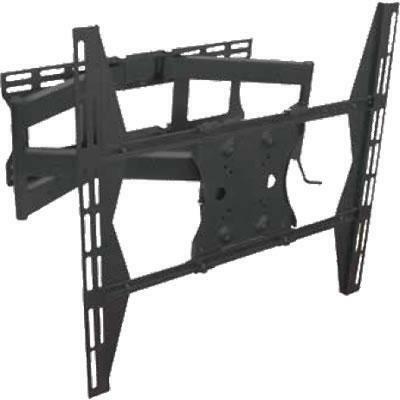 The SOB86 is designed to support a wide range of TV's with VESA ratings from 100x100 to 800x600.